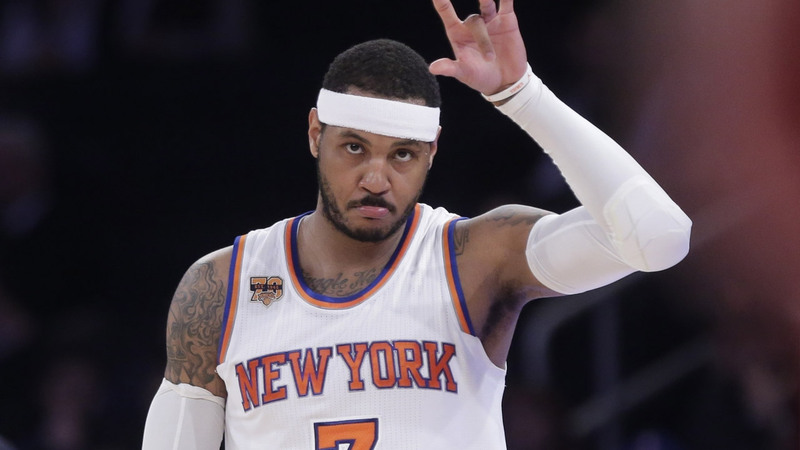 NEW YORK (WABC) -- So the Carmelo Anthony Era with the Knicks is officially over. In his seven seasons at The Garden, Melo had his moments. He leaves as the teams seventh all-time leading scorer, and No. 3 in scoring average at 24.7 points per game. Melo brought excitement to Knicks fans but also disappointment, never leading the Knicks anywhere close to an NBA Finals. So now it's time to look ahead. The Knicks have handed the keys to the franchise to Kristaps Porzingis. That's a good thing. They also brought in a couple of young pieces in the Anthony deal.Enos Kanter is a big man who can score, and Doug McDermott, a sharpshooter who can fill it up from long range. The Knicks also pick up a second round pick, so while they don't get a haul in return for Anthony, they didn't strike out either. Let's face it, the Knicks are not ready to challenge in the Eastern Conference. But it is time for the franchise to finally begin to tick up. They are now young, with little pressure on them. Defense is still going to be a struggle, but they have an opportunity to become a faster more enjoyable team to watch. The Knicks were going nowhere with Carmelo Anthony, now the question becomes, can youth and some new blood get this team back on course.